Gtir Motorsport club » Tech room » Help and Advice » Potential MOT Issues. Ok... so my car is a genuine air bag model. It has “SRS Airbag” stickers under the bonnet and in the drivers cab. Before I got the car it had the steering wheel with the air bag removed and also the clocks which had the air bag light. As the pulsar didn’t have it as standard (optional extra) most MOT places don’t know to check that the air bag is functional. I have managed to retro fit an air bag warning light into the dash as (personal choice) I want it to be there. I have wired it so that it goes out when the engine starts along with the battery light. I didn’t think about this before, but My problem now is that it will alert the MOT tester to the fact it should have an air bag, but it has a phase 1 wheel and no air bag. If it’s been removed, is that not an instant fail? Can't you just remove a bulb from a cluster for m.o.t and then re fit it later? That’s kind of what I was thinking I’ll have to do. 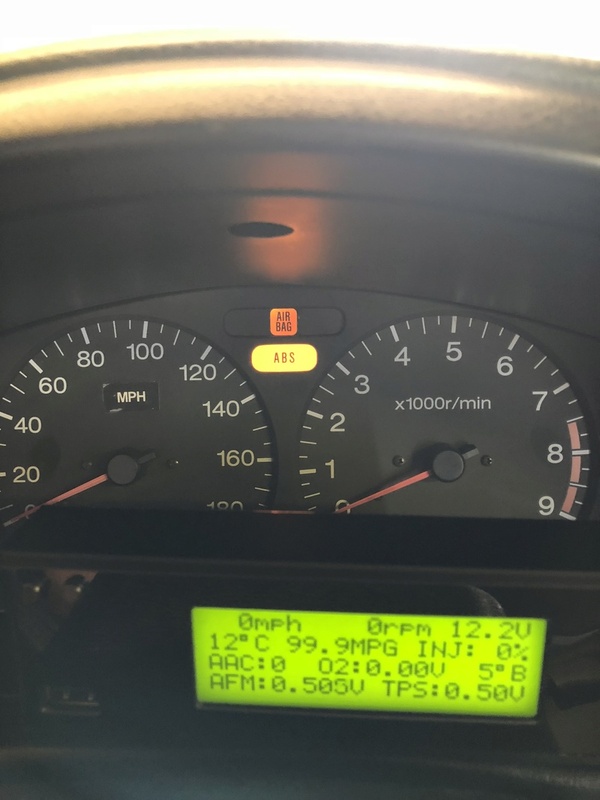 I can change the lights so there is no air bag light there, my main worry is that if I have a car accident, and they send out a surveyor, will he look to see if it has been tampered with? 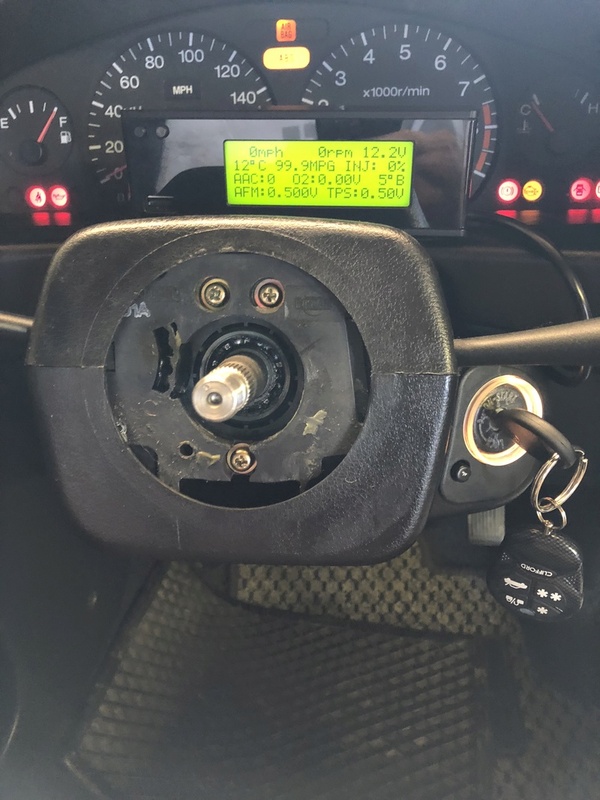 If srs light functions normally you may get away with it if tester not too thorough at looking at steering wheel or not wanting hassle as it's grey import and unclear if was factory installed . Best thing would of been total removal of everything airbag related. Do like your commitment to wanting keep it but it could be ballache if MOT guy wants make a deal of it and once fault logged in computer you f00ked as not like good old days of hiding it further and test it elsewhere . Have a word with gostek as he a UK mot tester although so much comes down to individual guy on this sort of thing . MOT manual revisions come in late next month so worth seeing if anything in that relates to srs . I was under the impression that cars over a certain age didn’t matter if airbag worked or not. I retro-fitted the air bag light back into the dash and then realised I may have caused myself a problem. I may just put the old set of lights back in each year. I get it MOT’d with Bob and not had an issue so far as most don’t know it’s meant to have an air bag. I’ve also noticed that my horn doesn’t work! There is meant to be a contact behind the steering wheel but my car doesn’t have one, can anyone see from this pic what is missing and poeticise a photo of what it should look like? I will then need the part if anyone has it on something they are breaking? Could fit a horn on a button if you get stuck airbag light looks good mate what did you use ? Doesn't the VIN say what extras you have or not or did that came later? Yeh airbag was originally only issue on late 90's but I see no age restriction in current rules so assume they removed that and can effect all . gostek best man answer this thread . Hello Mr MOT man just thought I'd give you a heads up . The air bag light comes on because I've fitted clocks from a much newer car . These never came with air bags . Wouldn't want you failing it on something it doesn't have . Just wire in a small switch under the dash. Easier than taking the bulb out each year. 15 Re: Potential MOT Issues.